Much like the ambush of Byzantium troops by the Hamdanid Dynasty that occurred exactly 1,058 years ago, we have some abrasive noises coming at you today. Dubstep is the name of the game this week and our labels crafted some quality chaos for listeners to sink their teeth into. Forever Music is a relatively young label coalesced by UK native Joe Garston, a DJ whose work is crafted with meticulous foley stabs and bright powersynths. His label doesn’t swing too far from the same path, and this week we get the Forever debut of Andross with his slick track “Moon Bounce,” aptly titled for a psycho-Chiptune banger. In the label’s own words, Andross provides some “digital nostalgia”- painting the soundscape with a heavy side-chained backdrop, square-wave leads, and bubbly arps. With a vibe reminiscent of Hyper Potions and Mitis, it’s exciting to see where Andross and his label have in store for the future. Vibe.digital dropped bombs this week with SORSARI’s “Patterns” EP, a sporadic romp into the mind of Canadian DJ Alex Jensen. This 8-track is a celebration of ambient and skittering melodies loosely guided by transient drums that weave the mix together. Jensen’s wields his DAW like a weapon and toys with listener’s expectations through and through. “Patterns” may just be a long lost sibling of Blank Banshee’s 2016 release “MEGA”, glittered with that particular trap influence and a thoroughly pristine master. Catch SORSARI currently streaming on all DSPs. It’s a charged track, detailing how black youth in America grow up surrounded by gang violence, indoctrinated into a system without exits. Cyph’s passionate flow rings evocative and escalates with fervor as the beat drives forward. The release is paired with a music video which you can check out here, or stream track below. Odio Records, known for their releases by Whales and EXCLUSION, started off November violently with JOOL’s massive 4-track “The Warrior” EP. JOOL teeters on the verge of experimental with the sounds he’s sculpted, keeping time with screeching noise oscillators beneath kick drums that sink the mix with each bludgeon. He uses more acoustic samples than what you’d generally find in dubstep, the main one being a dilapidated middle eastern string choir that peers out occasionally to say hello. It’s easily the heaviest EP on this list, and one of the most unique you’ll find this week. We have some righteous house jams to close out this week’s fresh produce. Understated Recordings has compiled their front line of 120bpm warriors to lay down the law and close out 2018 in style. The compilation currently has an exclusive release on Beatport, Spotify, and Apple Music; the playlist link below details what the crew has been up to. It’s a solid variety of ambient and hard techno polished by the likes of Grensta, Modus, Lupe Fuentes, and LA Riots, channeling the Los Angeles house scene without the need for words. Last, but certainly not least, we have Phobos Records casting some fire magic straight out of Germany with the “Big Eyes” EP by Lampe. It’s a minimal, deep-tech 5-track that borders on trance with how captivating the builds and releases are. Each track is defined in by a low-frequency bass hum, wrangled either by cryptically transposed vocals or reverb-soaked industrial stabs. Each cut progresses naturally, and embraces the minimalist upbringing that house music was pushed through to echo the sentiment: less is more. 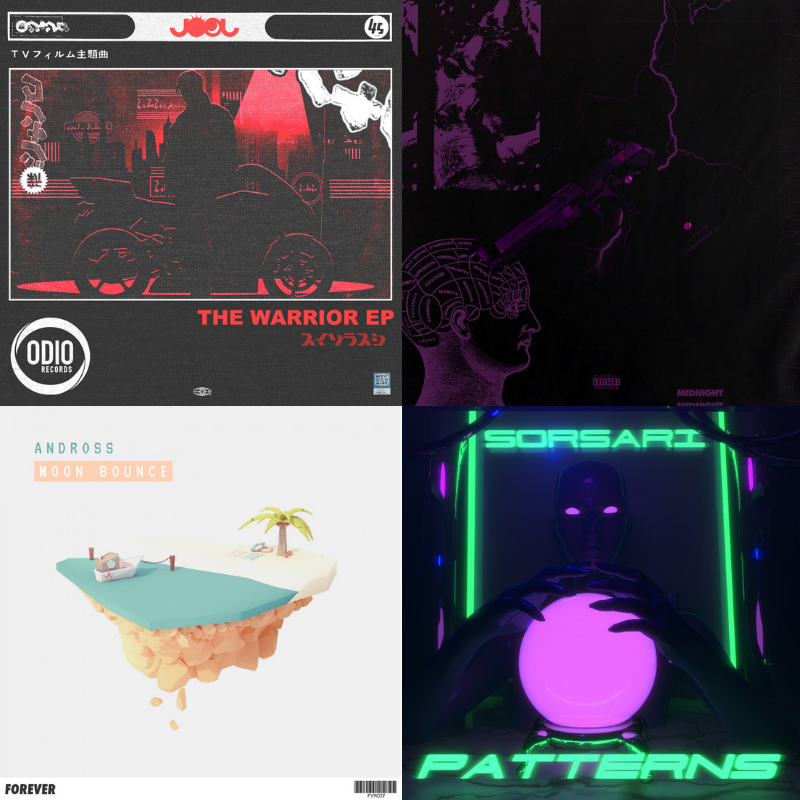 Catch all of these tracks and more on Label Engine’s Spotify playlists, and keep an eye on our socials for some upcoming interviews and features!